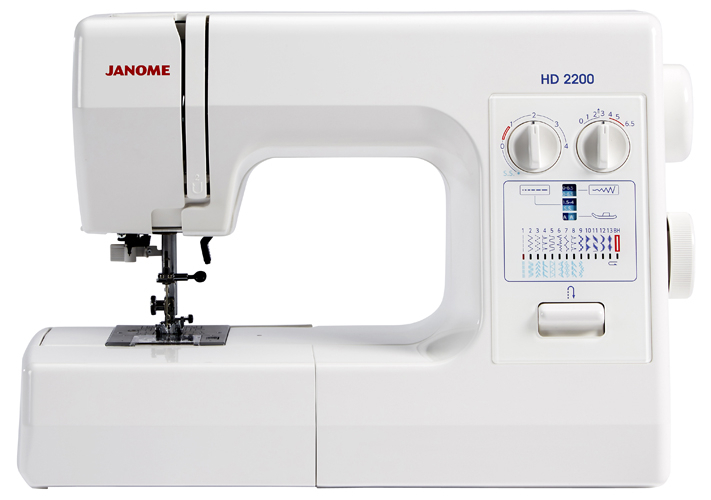 The Janome HD2200 is an well designed machine packed full of useful features and is ideal for schools and sewing classes. 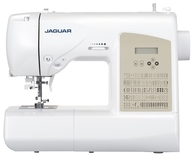 The machine features 23 stitches and has a fully automatic one step buttonhole. 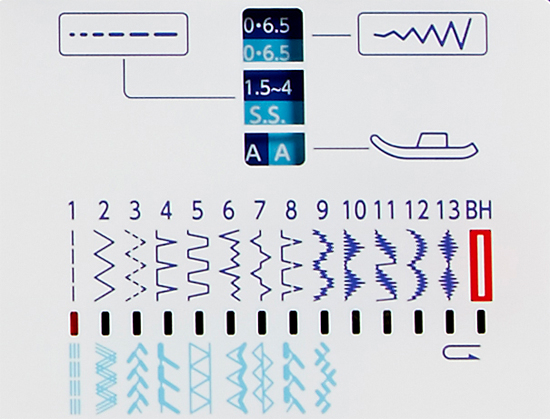 The built-in information window tells you the most appropriate presser foot and correct stitch length and width to use for the pattern you have chosen making sewing so much simpler. 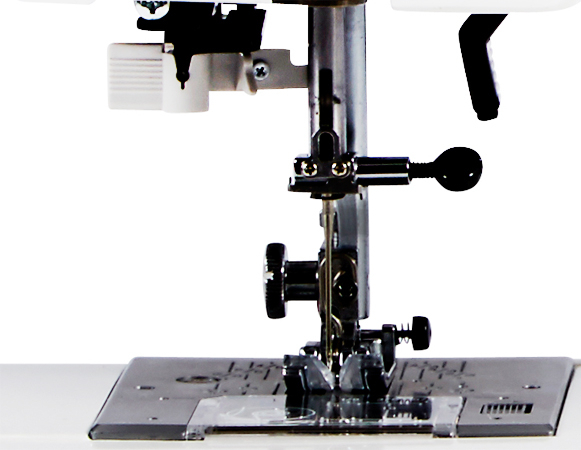 The HD2200 has a top loading jam proof bobbin system so Inserting a bobbin is quick, simple and trouble free and the see through top plate allows you to see how much thread is left. Changing the sewing foot is as easy as the quick touch of a button, and by lowering the lifter a different foot is snapped into place. 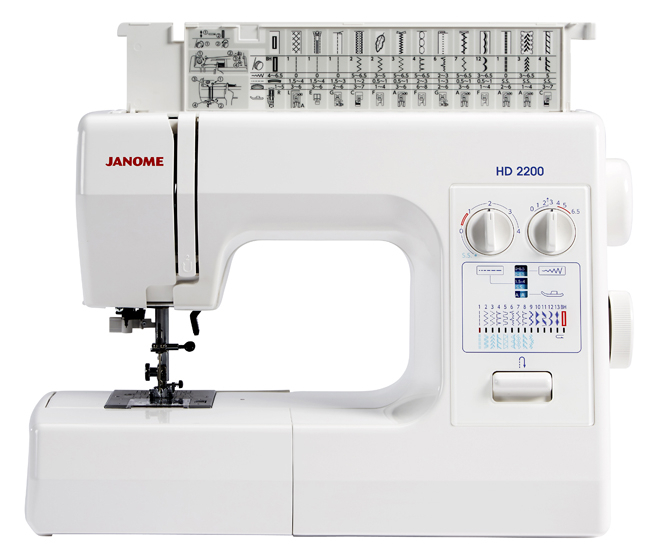 The Janome HD2200 also comes with a 2 year warranty. 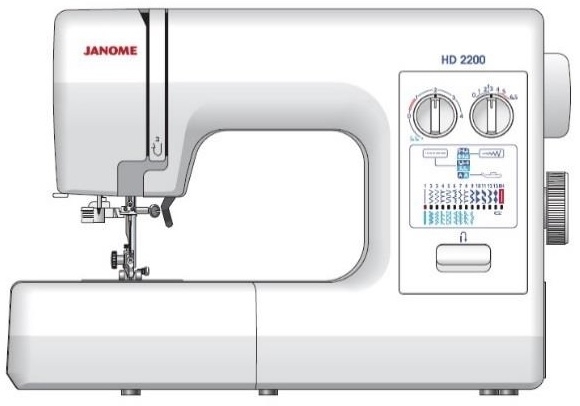 Answer 1 : The Janome HD2200 is a workhose for sewing all types of fabrics: Jeans, Soft Leather, Draylon Curtain including silks and lycra. 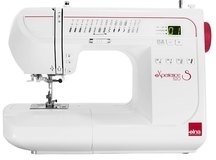 The machine is ideal for dressmaking, soft furnishing, upholstery, free hand embroidery and patchwork. 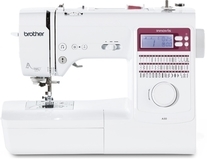 Answer 1 : This Machine will sew anything from fine fabrics to jeans and soft leather....its a good robust workhorse. This is a sturdy and robust item which is basic technology wise but works very well. I bought it to go alongside a more temperamental computerised item and the two complement each other very well. Heavy Duty at it's best. Many layers of canvas is no problem. Very nice item. 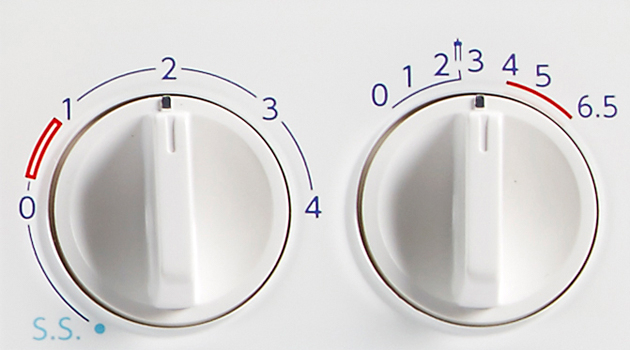 I’ve not tried all the stitch options, but it’s so much easier and quieter to use than my previous Janome item. Already made one patchwork cushion. Janome hd2200 arrived next day via DPD Next Day. The outer packaging was much too big and was in a poor state which seemed to have caused some damage to the inner Janome packaging which was loose inside the main outer. Fortunately the Janome inner styrene foam protected the item which operated very well without any apparent malfunction. Overall an excellent item. I tried all the major functions; buttonholing, button sewing, over edging,etc.. and I was particularly impressed with the needle threading facility. Well pleased !! This is such a lovely item. I am a professional dressmaker and have industrial items as well and bought this item mainly for buttonholes and zig zag stitch but I find myself using it for general making as well. It is a heavy base, does not jump around, has a purring sound, has easy function with threading and bobbin winding. 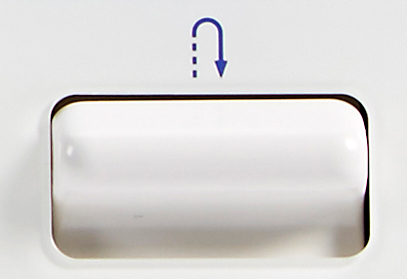 The auto buttonhole is excellent and it's easy to change stitches. The stitching and tension has been perfect on all stitches. I really am delighted with this and it sits nicely next to my Janome overlocker. Great product. Unsure of what machine to go for? Call, email or chat. We will be more than happy to assist! 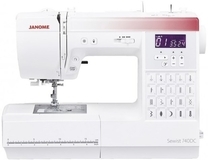 This Janome Sewist 740DC Computerised Sewing Machine..